of responsibility and develop problem solving skills. " safe around them, or how they communicate? with social skills, or is learning, behaviorally or emotionally challenged? Are you in need of a quiet, nurturing place where you can experience some healing? then....... Big Star Ranch is the place for you! the power of partnering with a horse. 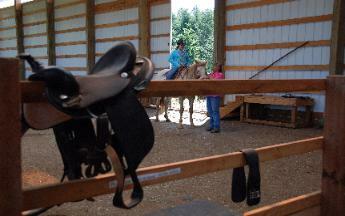 Big Star Ranch, Inc. is a 501 (c) (3) Your contributions are tax deductible. Star Ranch when completing the application. THANK YOU! To view the KPTV News story, press play. standards for safety and excellence.